Brighten your smile with safe & effective whitening! Restore your smile with functional and beautiful crowns or veneers! Keep your mouth healthy with routine dental cleanings and exams! 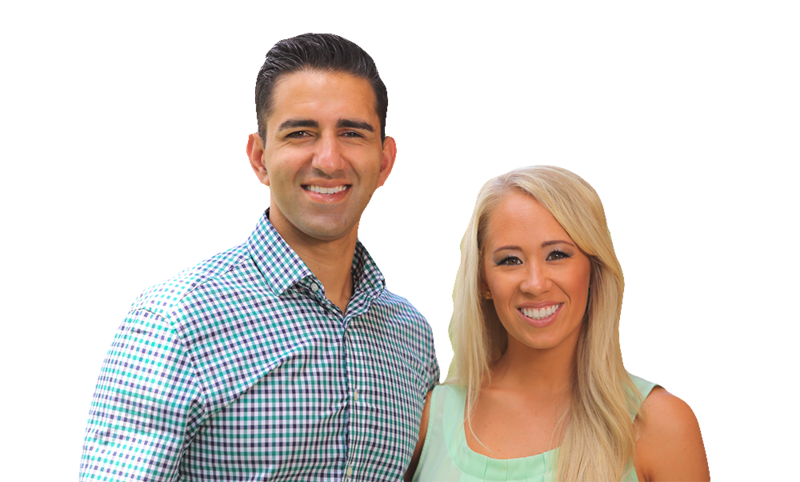 Meet husband and wife dentists, Dr. Mark Ferdos and Dr. Meg Ferdos. 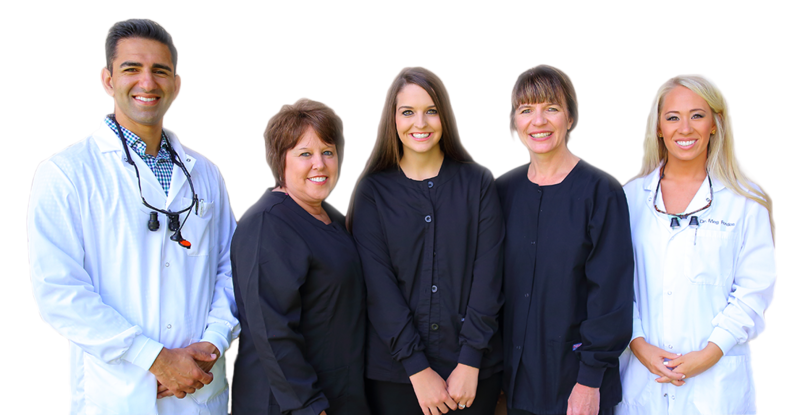 We strive to provide the highest quality, comprehensive dental care for the entire family. From our family to yours, we treat every patient with the personal touch you deserve. At Ferdos Family Dental, We strive to provide the highest quality, comprehensive dental care for the entire family. We aim to build a trusting relationship with each patient so that you feel relaxed and comfortable at each dental visit. We believe that each patient should be informed and educated about their current dental health. This understanding of your dental and oral health will allow you to make educated decisions regarding all of your treatment needs and various treatment options. We work together to develop a customized treatment plan that works for you! This collaborative team approach is vital to ensuring the most positive dental experience possible in a relaxing and comfortable environment. Our goal is to create “patients for life” and for you to become a part of our family! Going to see my dentist, Dr. Ferdos is always a great experience. Dr. Ferdos has a great sense of humor. All the professionals who work with you during your visits are very knowledgeable and oh so kind. Indeed! I am a fan. Dr. Ferdos is my dentist and he has given me an entirely new smile! They are always there when I need them, timely with appointments, and very concerned and considerate of their patients. My visit today was very pleasant. Beverly was gentle but very thorough. I also felt Dr. Ferdos did an excellent job checking my teeth. The front office ladies were very friendly. Great experience! I was in the chair over 2 hours with a very kind and patient Dr. Ferdos and very kind assistant. Dr. Ferdos always does excellent work. The entire clinic is always neat and clean. We see the whole family! Bring your little ones in and we'll keep those baby teeth in tip top shape! We'll help your little ones keep those ``sugar bugs`` out! You don't have to lose your tooth because of an infection or trauma. Ask us how root canals can help you save your tooth! Fix cavities and chipped teeth with a simple and convenient tooth filling! We perform most of our extractions here in our office to save you the trouble of needing to see a specialist! Regain your smile and your confidence with our top of the line dentures. See the difference in a well fitting and natural looking denture! Straighten crooked, crowded, or spaced teeth with clear aligners for an amazing new smile! Don't let anxiety or fear hold you back from the dental treatment you need. Lay back and relax with sedation dentistry! Anchor loose dentures or replace missing teeth with dental implants. Dental implants are now available in Habersham! Ask us about this cutting edge dental procedure. Night guards and sports mouth guards help protect your teeth from wear and trauma. Our friendly and professional staff are here to answer any questions you may have and make you feel at home!